We can’t help thinking about the plight of refugees attempting to cross the border from Serbia to Hungary as our mini bus is held at border control for no longer than ten minutes before we are on our way, continuing our journey to Subotica . . .
Filip and Silvija, our friendly and smiling partners from Local Democracy Agency, Subotica greet us on our first morning in Serbia and introduce us to their very beautiful and interesting city, bathed in sunshine. Fairytale turrets, domes and towers, sugarspun buildings painted in warm colours, the unhurried pace of local people on the streets, the sight and scent of tempting pastries from the bakers’ shops. 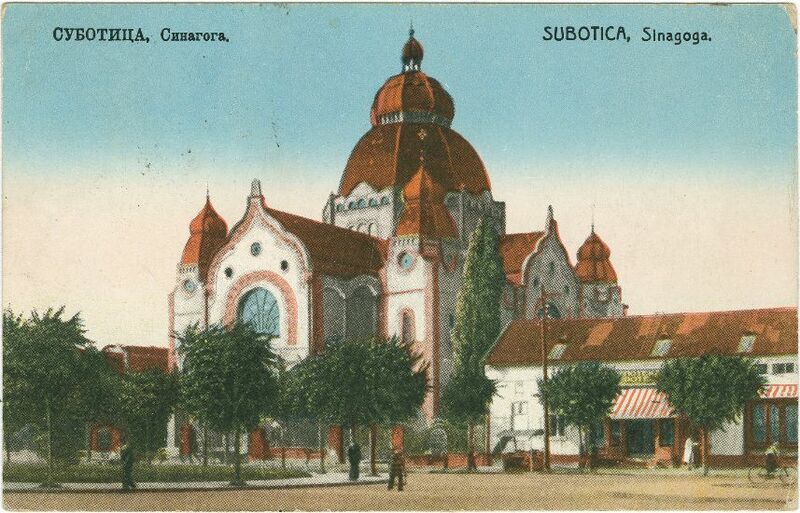 First mentioned in documents in 1391, Subotica has been part of many countries governed by Hungarians, Turks and Serbs. It has changed its name over 200 times. In Hungarian Subotica or Szabadka is “a dear, free place”, in Serbian it is “a little Saturday”. Twenty minority groups live here, one of which is the Roma community. Since ancient times the city has been inhabited by people of different nationalities and religions. Its position, between Europe and Asia, on the border between two great empires – Austro-Hungarian and Ottoman Empire, has significantly influenced the sights, sounds and culture of this city. 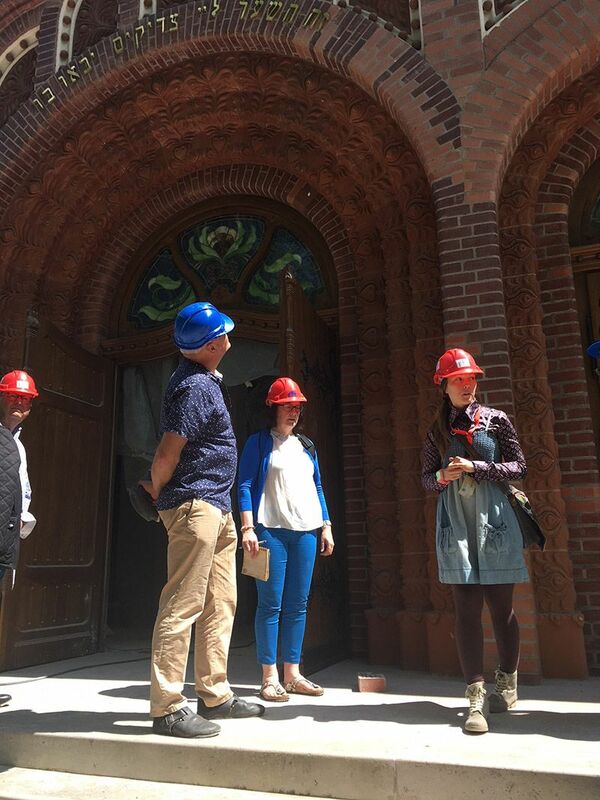 We begin by visiting the synagogue of Subotica, the only surviving Hungarian art nouveau Jewish place of worship in the world. 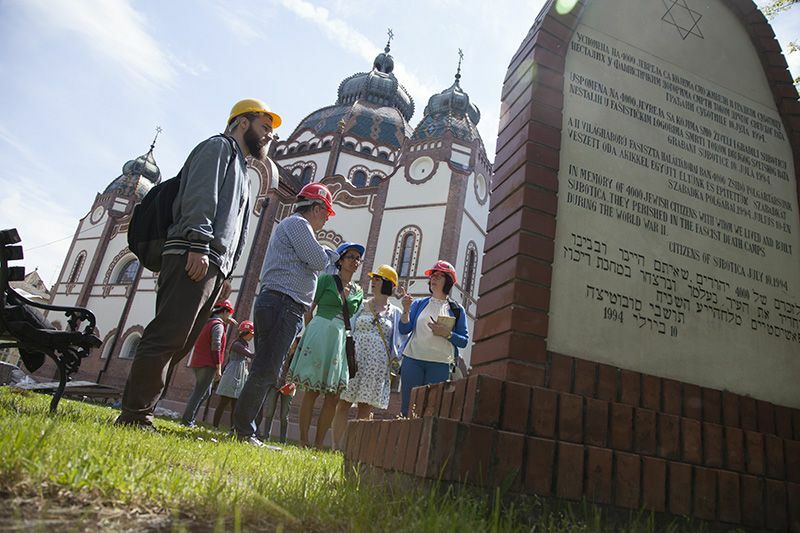 We meet Mr Peter Blau from the Jewish Association, Sonja Korponaic who has come across the road from the Municipal Museum to talk to us and Anna Maria, the engineer working on the synagogue’s major renovation programme. We are given hard hats for the tour. The exterior is stunning. 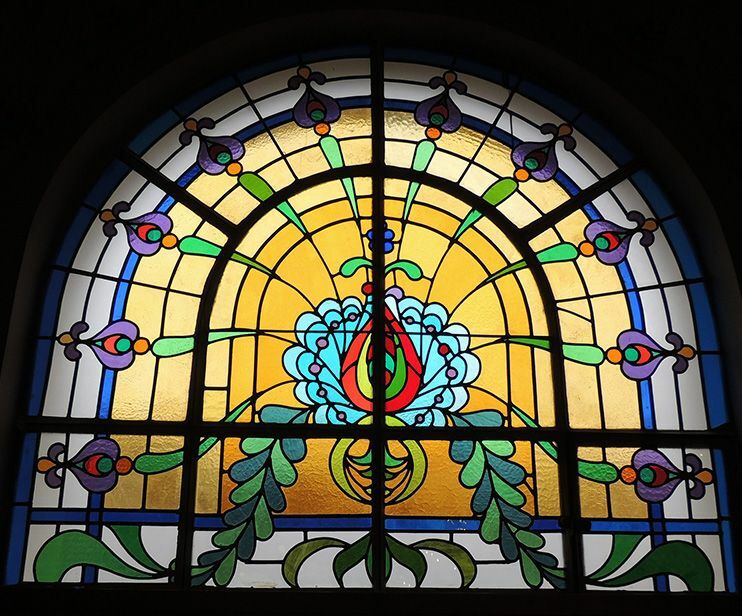 The architects from Budapest, Dezső Jakab and Marcell Komor, were ardent followers of Hungarian art nouveau style architecture, which unified elements of Hungarian folklore elements with Jewish structural principles and motifs. Tulips, carnations and peacock feathers are tucked around its portals, windows, pillars and domes. 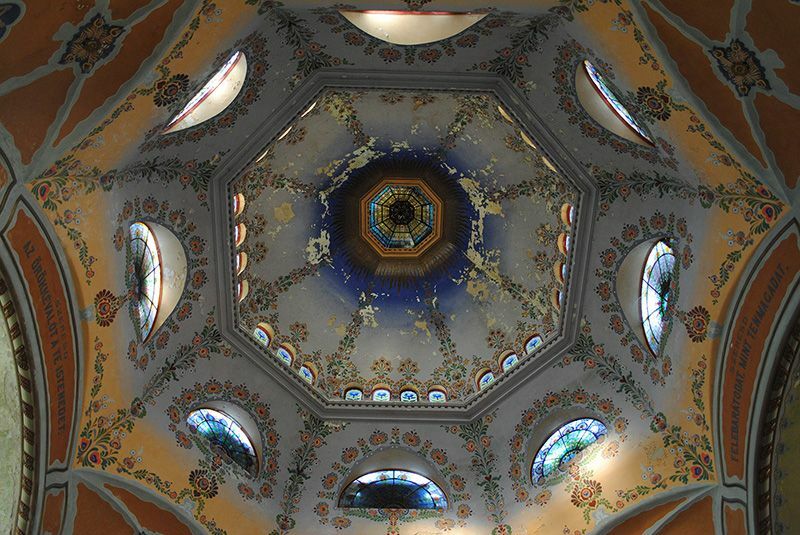 The dome is similar to the cathedral in Florence. The lantern is inspired by that of San Marco in Venice. At the time, there was nothing like this in the rest of Europe or indeed, the world. The synagogue was not situated in a Jewish ghetto but was part of a mixed city community. There was a daily market outside its gates. It was a landmark for the city. It still is. The answer from Sonja and Filip is that having existed amidst nonstop political tumult since 1775, the Jewish community was decimated by the Holocaust. 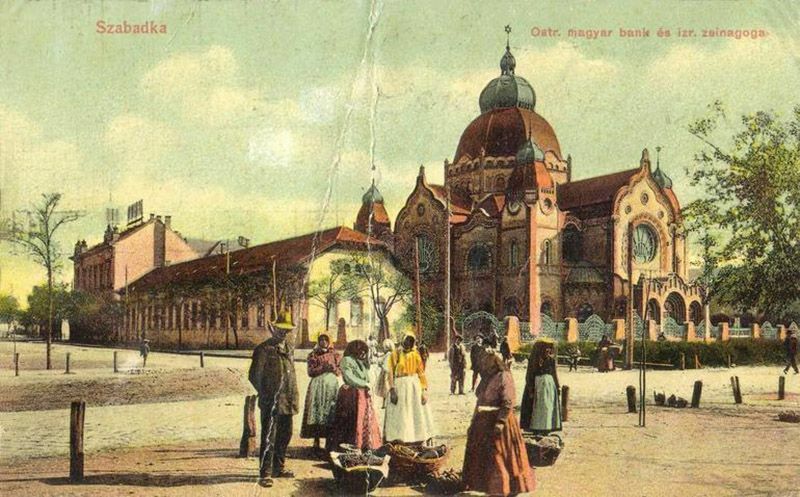 Many of Subotica’s 6000 Jews were deported to Auschwitz, leaving a population of 1000 that continued to dwindle. Later, we see a memorial in the grounds. The synagogue remained as a poignant reminder and an architectural gem that decades of subsequent persecution and war couldn’t topple. The diminished community could no longer afford to run and maintain it. In 1979, it was donated to the Municipality with a request that it be restored to its former glory and used for cultural activities. For some years it had a variety of uses, even as an avant-garde theatre. It was looking increasingly dilapidated. 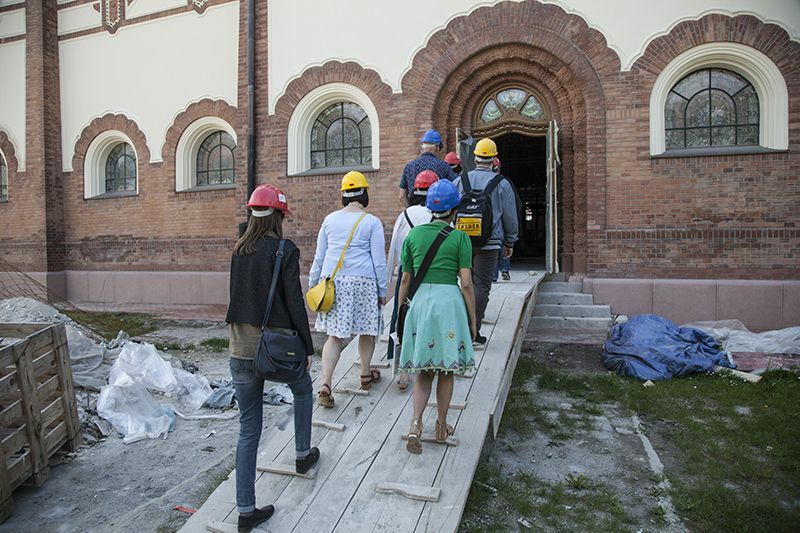 Finally, the synagogue is being fully restored in a multi-million renovation project financed by a variety of funders including the Hungarian and Serbian governments. Mr Blau tells us it will also be used by the local Jewish community of 200 people for services and on other significant occasions. Even in its derelict state, the interior is breathtaking. We can only imagine how beautiful it will look when the work is completed. 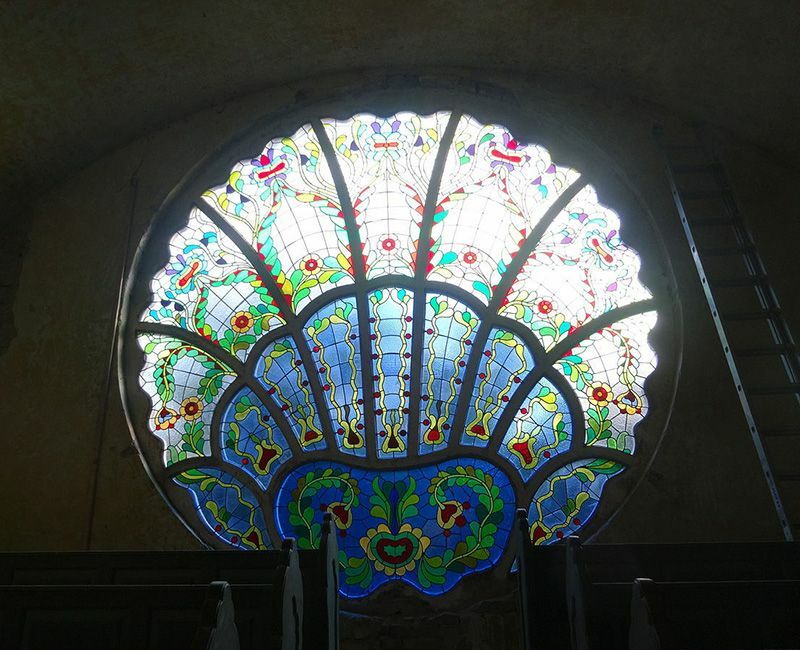 Although it is a wonderful thing to see it being restored and hear plans for its use in the future, we come away with impressions of a time when the synagogue stood at the heart of the city as an innovative, religious, civic and cultural marvel and was used and celebrated by the community that built it.